What kind of future do you visualise for your child? Do you hope they will learn to drive and buy a car, go to university, get married, and buy their own home? How often do you think about how much these things cost? As a parent, you might put money aside every month in the hope that you can help your children with these life goals in the future, but are you saving enough for your child? 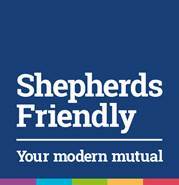 Shepherds Friendly research found that 65% of parents said that if they had a savings plan in place that they would pay just £10-£50 a month. However, is that enough to help you reach a savings goal you have in mind for your child? Use the Infographic below to work out if you are saving enough to reach a savings goal for the future of your child.